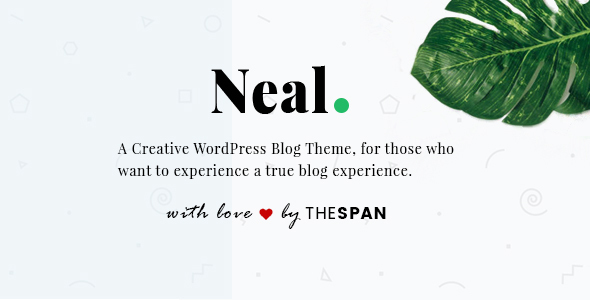 Neal – is a creative and nice WordPress Blog Theme. You can easily and quickly create your blog website with Neal. Easily customizable with WordPress Live Theme Customizer. Finally, every single element of in Neal is entirely responsive, as content can be viewed from desktop and mobile devices. 24/7 Support & FREE Lifetime Updates! Google font Subsets: Latin, Cyrillic, Greek etc.